This is the most recent information about Pixie Lott that has been submitted to amIright. If we have more information about Pixie Lott, then we provide a link to the section where it appears (the actual page whenever possible). 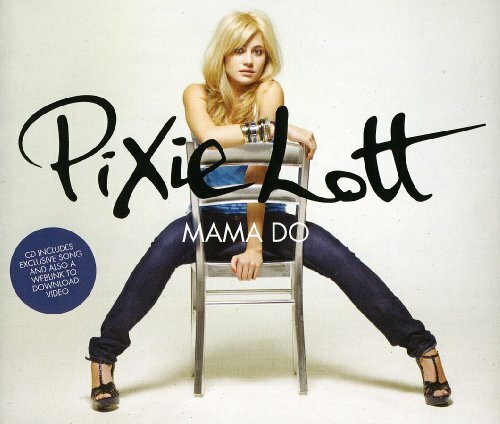 Listening to the song "Boys and Girls" by Pixie Lott, I heard this line- "a good beat never hurt no one"... I think Rihanna would disagree!!! Known informally as: "Pixie" Lott. Submitted by: Robert D. Arndt Jr.
"Boils on Girls" "Boys and Girls" Robert D. Arndt Jr.
"Boys with Curls" "Boys and Girls" Robert D. Arndt Jr.
"Toys for Girls" "Boys and Girls" Robert D. Arndt Jr.
"Hold Me In Your Arms," Pixie Lott "The Shelter Of Your Arms," Sammy Davis Jr.
"Hold Me In Our Arms" originally "Hold Me In Your Arms"
"Kiss The Tars" originally "Kiss The Stars"
"You In" originally "You Win"
"Black As Brain" originally "Black As Rain"
"Kiss The Stairs" originally "Kiss The Stars"
"Kiss The Sitars" originally "Kiss The Stars"
"You Wink" originally "You Win"
"We Just Go One" originally "We Just Go On"
"Hold Me In Your Army" originally "Hold Me In Your Arms"
"Kiss The Scars" originally "Kiss The Stars"
"Kiss The Stags" originally "Kiss The Stars"
"Everybody Hurls Sometimes" originally "Everybody Hurts Sometimes"
"You Kin" originally "You Win"
"Mama Do (Uh Oh, Uh Oh)" "What Firemen Do" RosstoferWho? "Boys and Girls" "All the Toys in the World" Robert D. Arndt Jr.
"Boy Sand Girls" originally "Boys And Girls"
Toilet Pix Submitted by: Robert D. Arndt Jr. I Pet Lit Ox Submitted by: Robert D. Arndt Jr.
Exit Pilot Submitted by: Robert D. Arndt Jr.
"He Molds In Our Army" originally "Hold Me In Your Arms"
"Hold Me In Sour Army" originally "Hold Me In Your Arms"
"Mom Ada" originally "Mama Do"
"Do, Mama!" originally "Mama Do"
"Canning Do My Own" originally "Dancing on My Own"
"Lack As Brain" originally "Black As Rain"
"Brack As Lane" originally "Black As Rain"
"Dama Moo" originally "Mama Do"
"Eye Me Kraut" originally "Cry Me Out"
"We Gust Joe On" originally "We Just Go On"
Picky Slot originally "Pixie Lott"
Sickly Pot originally "Pixie Lott"
Ick, Sea Plot originally "Pixie Lott"
Lick Sea Pot originally "Pixie Lott"
"Guest Judge on X Factor"
In July 2010, Lott appeared as a guest judge for the auditions for the seventh series of The X Factor in Cardiff, covering for Dannii Minogue, who was on maternity leave. "Biggest Jump to NO.1 (UK)"
Pixie Lott's (UK) single "Boys and Girls" broke the record for a jump within the Top 75 to the No.1 spot in the UK on Septemeber, 19, 2009, when it climbed there from No.73!!! "Starring in "Fred:The Movie" with Lucas Cruikshank"
Pixie Lott made her debut in this Nickelodeon movie as Fred Figglehorn's love interest Judy which featured her song "Boys and Girls"